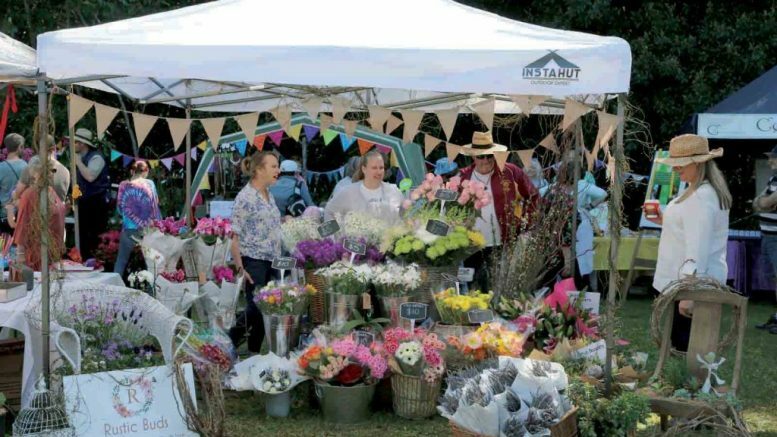 Yarramalong is set to bloom as the agricultural township prepares for the annual Yarramalong Valley Spring Festival. The Festival has been running since 2008, and is staged on behalf of the communities of the Yarramalong Valley, by the Yarramalong Valley Community Inc. with the support of the Wyong Regional Chamber of Commerce. The event falls under the banner of the Australian Springtime Festival, which sees townships across the country welcome in spring with an array of special events and activities. “The Festival is designed to bring the Community together and introduce the magnificent northern hinterland of the Central Coast to the general public, while at the same time, providing the various community groups within the area the opportunity to raise funds for their cause,” said Wyong Town Centre Coordinator, Nicole Thompson. “Everybody is welcome to come and join in the fun of the various events, whether it be entering a Scarecrow in the competition or simply enjoying a pleasant drive through the Valley to view the fantastic Scarecrows entered by others,” she said. Saturday, September 1, saw the start of the Festival’s Scarecrow Competition. The Yarramalong Scare Crow Competition is in full swing until September 16. 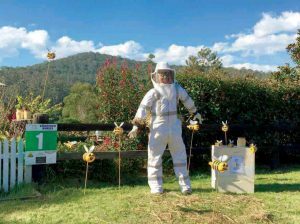 “Running until Sunday, September 16, this event has proved to be very popular over the years, with visitors coming from far and wide to view many imaginative, clever and amusing Scarecrows throughout the Yarramalong Valley,” Thompson said. From the 8th to the 9th, the historic Wyong Creek Hall will house The Valley Art Show, from 10am to 5pm, where visitors may gather to view an array of artworks and crafts, as well as a wine tasting. The Hall’s grounds will also be open over the two days for visitors to enjoy, and are perfect for picnicking. A sausage sizzle and light refreshments will also be available for purchase during the Art Show. 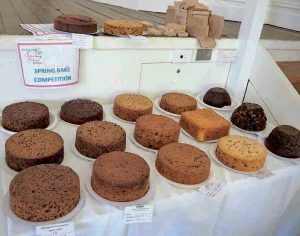 The grand finale of the Festival will be the Yarramalong Valley Spring Show, Jack Gear Reserve, Yarramalong, which opens its gates at 9 am on the 16th of September. Now upgraded to an Agricultural Show, and part of the Wyong Shire Agricultural Show, this event will include a number of attractions synonymous with agricultural shows, such as a Wood Chopping Competition, an animal farm nursery and a children’s Pet Competition. Others attractions will include a variety of market and food stalls, a barbecue, camel rides, pony rides, a milking display, fun games and activities, a free jumping castle for the kids, and the much loved Wife Carrying Competition. Live music and entertainment will be provided throughout the day. The Wyong Shire Agricultural Show comprises of five event categories which will be held at various venues. These categories include a Horse (HACK) Event at Morisset Showground, an Orchid Show at the Wyong Race Course, the Spring Bake Competition at Wyong Creek Hall, and the Yarramalong Valley Spring Show at Jack Gear Reserve, Yarramalong. For a full program of events visit the Yarramalong Valley Spring Festival website.